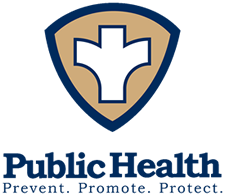 The Perry County Health Department contracts with the Missouri Department of Health and Senior Services to inspect food establishments and enforce the current Missouri Food Code. Currently, the County Health Department conducts inspections at a frequency based on risk. Risk is calculated by giving values to risk factors such as the type of population served, the number of meals served per day, the types of food served and the manner and proportions in which the food is prepared and served. Higher risk values are also given to establishments with a history of critical violations and involvement in a foodborne illness. A higher risk value will increase the frequency of inspections.